Rororua is on New Zealand’s North Island, and is just off the aptly named Thermal Explorer Highway. It’s known for its many Maori attractions and the variety of visible geothermal activity. 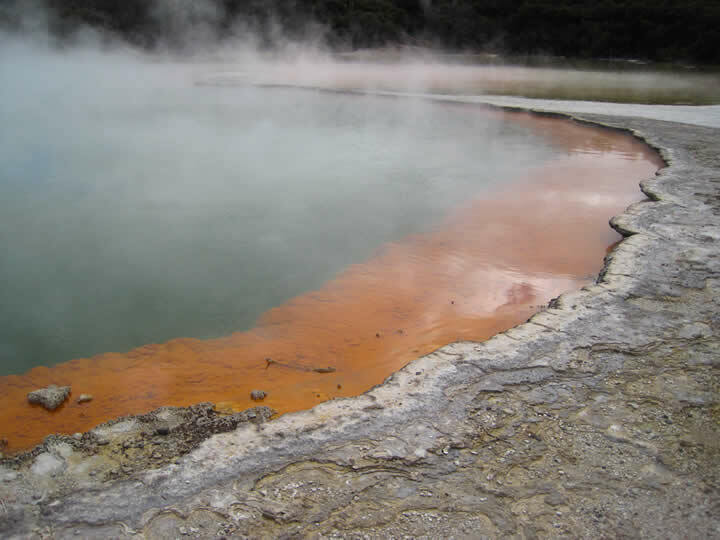 In fact, before you even enter Rotorua, you can smell the “rotten egg” sulfur gases. While the Maori attractions are highly commercialized, we had a great time experiencing a hangi and show at the Mitai Village. The evening was full of information, entertainment and great food. 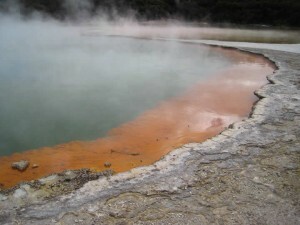 We also went to explore Wai-O-tapu, one of the area’s thermal parks. The self-guided walking tour was an amazing reminder of the powerful forces working below the surface. Rotorua should definitely be on any tourist’s short list.